Do you work for Google Drive? Learning about Google Drive? We can help. "Best Product to Backup Your Personal information." It's an online platform hence you can access all your files everywhere provided you have an internet connection and username and password of the account you are using. Also, you are able to access it with different devices and edit the files you are accessing. Being an online product, it is risky because of hackers who can sabotage and access personal files of different individuals. Also, it needs the internet to work, without it you are not able to access the files you have backed up. Google Drive helps back up your personal documents, you can also share them with a link which they automatically create and consequently they provide all users with 15 GB free. 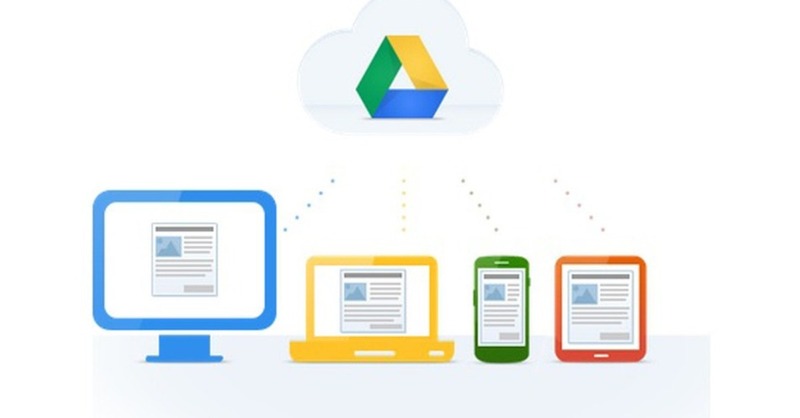 Google drive has made file sharing across different departments of either company's or personal easier. Besides file sharing in a case may be of the fire outbreak that can destroy all paperwork, the company's information is secure, they only need to download. "Place for all collaboration documents "
I like how I can access google drive on my phone and any other computer. I do not have to be at my main workstation to get to important documents. I am also able to share and collaborate easily from anywhere. Sharing privileges must be turned on for people to see documents. This is a very nice sharing feature, but it can also be cumbersome when working with students who do not always understand. I have to frequently give students a 0 when it is a good paper just because their sharing is set to off. It is a difficult thing for young students to remember. For easy sharing, make folders for the people that you want to share with. I have a folder that can be shared with certain people, a folder that is private, and a folder that is public. It is much easier to place documents into the appropriate folders rather than remember to turn the sharing privileges on all the time. I recommend this to my students as well. Many of them have trouble remembering to turn their sharing privileges on, so they place papers to be graded into a shared folder. I am able to store, share, and work on documents with other colleagues. One of the best benefits that I have realized is the ability to work on a document with a colleague that is far away. I like how many documents are stored together. "The only storage product that can be used from kids to old people"
One of the things that I like the most is its very user friendly and whatever the file format is the user can easily store all his required information in his own google drive. Google drive can be easily get opened in other systems as well with the better security and the vulnerability of getting known the user information is also pretty low. Not only meant for the business purposes but one can also store their information and personal documents in his google drive. I think there will be no one who dislikes google drive, One can store all his documents,PDF's and also links can also be stored. The thing that concerns users the most is the security of their information. If a user open his google drive on some random system rather than on his personal system then he should definitely get logged off from that particular system. Every single person knows about the Google Drive. It is well known for its user friendly environment also it's workplace and storage. I would definitely recommend this to everyone out their not only for business work but also for the personal storage. Google has been working wonderfully for every person that I know and it can be used to store all the important documents even though they are of different formats. One of the good things about Google drive is it can be shared among a team also with any number of people and one cannot feel insecure about dropping all their information in their Google Drive, it provides that security. "Safe and Secure to Save"
The most i like is the saving option then and there while working on the file with the sheets and documents. This makes not to loose any of the workings on the file and not necessary to save manually. The option of sharing the file with many recipients is the best option for the corporate users as i do not need to ask for an update with the colleagues often. I can directly get into the page and view the shared and saved file. This option made my work easier with very little effort. Not able to integrate other online storage device and this has to be implemented to even save time. Also the integration of many other tools has to be brought in which could help the corporate workers to achieve more on the productivity and to save energy and time. I feel that the VCF files are not being opened properly. This makes the work easier by saving time and energy and hence productivity is on a larger scale. After using complete facilities in drive i found that i saved 30% of my time. All the video, photos and files are accessible in one place and at any place. The application in my android also works even during poor internet network connection and hence i do my job any where any time. Also i save all the files here as i do not want to loose any important files keeping it in my computer. This is the safest and secured way to also store the files and datas. It's very easy to use. I just need to drag the files and it's done, the file is stored. There is the desktop version that is even easier to storage your files. 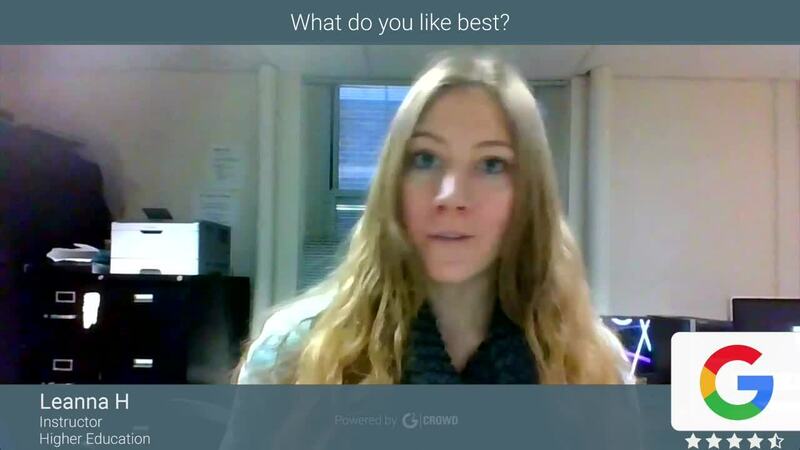 The system of upload videos and share the link to peoplo watch being able to chose who can watch the content. Creating of tables, slides, docs, etc. Google drive replaces a lot of tools and don`t need to download anything to use it. Sometimes it`s a little slow to zip your files to download. The version free doesn`t have much free space. Sometimes gets a little bit slow. The service of upload videos to other people to watch has a short limit of viewers and forces the user to download it. I recommend google drive to all people who needs to use your files in different places like work, home, college, etc. Very easy to use and you don't to download the desktop version to use. To storage my files at home or work and open wherever I want. Easy to share files with all my coworkers. II simple share the link and choose who can open and who can't. Sometimes I share some important Video lessons with coworkers and they can watch in the google drive itself. Google drive is cost-effective for small business, easy to install, easy to use, and easy to sync. It's great for basic back-ups. Additional options for backing up Google photos, maps, Gmail, and if inclined, your music collection (and streaming it). I don't like that it auto-added image files to Google photos, it was time-consuming to correct and find the settings to prevent the issue in the future. Sometimes others experience issues with share links. Doesn't integrate well with Microsoft Office. Ensure that the local folders and files you want backed up are organized and create the same folder heirarchy on Google Drive before syncing. It makes things easier, regardless if you are syncing "as-is" or zipping folders. If you only need a backup of your files, zip your folders to save space. If you have Microsoft Office files to be opened or updated individually, use Microsoft OneDrive instead. Google drive is good for secure backups of small and medium-sized businesses. Haven't evaluated enterprise-level solutions. Google drive has virtually replaced Microsoft word for us. We use it or word docs, to print posters, we store all of our data and spreadsheets here. I export data sheets to the drive to edit and then download as a PDF for customers. It is easy to share and collaborate, and I like that sheets can be locked and users can be given individual different accesses. I also love that once you open a doc on your google account, you can type the title of the doc into your browser to have it pull up easily. It is a little slow to load (just gmail in general) and the organization could be better. I have a hard time sorting items into folders and then locating said folders later. Search could also be broader to include more key words. Learn your google sheets codes and teach your staff. The fact that different sheets can communicate with completely separate sheets is mind blowing and extremely helpful. It is also great experience for your employees. We keep EVERYTHING in here. Training manuals, work data, hourly tracking, slight inventory management. Everything is in one place. If the drive were to crash we would have a lot of rebuilding to do. Makes it ideal for small companies with a few employees to collaborate and share multiple files at once. Can also easily export for those not in your google account. "Your portable shared USB on the cloud"
The best thing is that it lets you upload almost any file type unless it suspects its infected by a virus. You can create folders just like on your local machine. It is well integrated with Google Docs line of product and lets you create google doc/sheet and store it on google drive. You can share files/folders using shareable link or through email invites. You can control level of access as READ, EDIT or Owner. The free space is limited to 15GB but hey! it's better than Apple which just gives 5GB. Great file sharing location with control over who can access/modify them. Good pricing options and cross platform. We have bought a 1 TB Google Drive location plan and use it to collaborate with team on team activities. We call it by a project name and use it to place and share files with the entire team. It's helpful for work deliverable, task collaborations. It lets us share content without having to worry about infrastructure, backup and security. Google takes care of it all. "This is a great Google add-on, ideal for uploading files in the cloud and editing files"
"Very little to praise about Google Drive"
This is the best way for colleagues to work on the same document at the same time from multiple locations. I can never find the docs I need. The organization makes no sense. I want it to be intuitive and look just like the folders on my desktop, like Dropbox. When I share a folder, it doesn't show up as a folder to those I shared it with, so they can't find the docs I want them to see all together. I hate that I have to save a file in another format in order to edit it when I drop a new file into Google. Why can't it just stay as a word or excel doc? It messes the formatting all up. The comments don't show up where they were placed when I had the doc open in Word. I could go on and on about how much I dislike Google Drive. If you don't need to collaborate on a specific document, don't use it. If you have another solution to collaborating on a document, don't use Google Drive. We use it to work on a document together, then put the doc right back into Dropbox for further use. I would never use Google Drive for ongoing work. "The most useful cloud storage I've tried!" Cloud storage has been one of the most important tools in my work because, with Google Drive, I have been able to share my documents with my bosses and colleagues, as well as save important files and acquire them or have access to them at any time. . From my mobile or computer. The paperwork in my area of ​​work has already been reduced on a large scale, since nowadays everything is digital and much easier to obtain, it is not necessary for my colleagues to be present to receive the information I need to receive, just to share them. For the cloud is enough. It also allows you to save very heavy files that are sometimes difficult to send via email. I have nothing negative to say about Google Drive, I have not had any problems since I use it, really. All excellent, has fulfilled the function that I need, I use it frequently in my work and it has worked properly. "GREAT DOCUMENT SHARING AND STORAGE TOOL WITH LARGE STORAGE CABILITY!!!" I love the easy access to all my documents, photos, etc. I love when I can edit and review a document with another associate in real time and not worry about multiple copies going around. I have not found may downsides to using this tool. You do have to create a google account but that's about it. Google Drive Cloud Based storage is a must have for anyone that wants the ease of access to all the documents and photos, ability to edit with multiple people and remove the need for different copies of financials going around and ease of sharing documentation, photos a click of the mouse. This is a fantastic product that all should use. "Drive is the most useful tool to share files fast and secure"
"Quickly becoming the go-to storage and sharing solution for the SMB crowd-but lacking some functions"
Works for small to medium businesses but you need to stay organized when building out file structures, Google doesn't help with that. My company uses Drive and we all work remotely so it makes sharing documents really simple. We can work on projects and make contributions that appear instantly for other users. "A good platform to store secure ans share information. " The best about Google Drive it's the facility to share information with another people as a secure way. I like because you can link google drive with your current google count and have all the information as an easy and fast way. In my case when I can't send big files by outlook I use this tool and i'ts the faster way to send the files. In addittion, I like the useful interface that brings the application. I think the only bad of this tool it's the storage size. It could be bigger to save a bigger backups and more files. Also, you can keep safe backups and edit files online. By the moment I don't find any problems using Google Drive. I think it has all the functionalites that I need in my business work and it works well. "Integrated with gmail, do I need to say more?" It is integrated with gmail and all the google suite of solutions. It allows to store, share, sync, edit online and integrate it with several solutions. the interfase and the documents that are native to drive are not 100% to my linking when synced or downloaded to a computer. One has to be very careful not to delete things on the computer because it also can delete them online. It is free to beging with, you can pay more, but you have to be careful not to delete files on a computer without checking if you are syncing because you will also delete them online. "Helped me finish my MBA!!" When given group projects, we were able to easily collaborate with teammates. During deep dive research initiatives, we were able to track progress and eliminate redundancy by the transparency that Google Drive gave the team. Wonkey nicknames the system gave people if they weren't logged in. Hard to remember who was what character and it changed. Managing edits was a learning curve that was a bit longer than I would have preferred. There were a few times I had to download to a local word processing program to make the edits as I wanted them to appear. There were also a few times I uploaded a doc to Google and it didn't keep formatting exactly the same as the prior document. Absolutely recommend for group efforts, makes working together seamless. Keeping an index or style guide available to your teams will ensure uniformity of work in progress and template styles. I can share docs with my team and they can access from anywhere. We have a group that work locally, remotely, and occasionally, internationally. Google Drive transcends the barriers that we have experienced with previous processes and provides a better method of getting work done faster, with more accuracy, and stronger engagement for the members. "A convenient and streamlined file storage and sharing solution"
I really like not having to plug in a physical drive or other storage media. I can just access Google Drive via the cloud through my computer or phone. 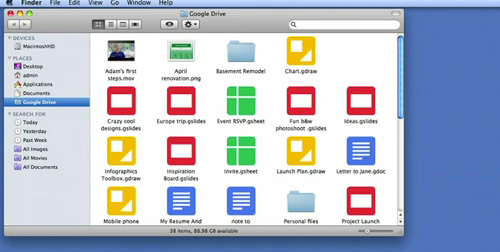 Google Drive works smoothly with many applications I use, especially Google software. For email attachments, Google Drive is automatically a sending option in my Gmail account. I can use it to send large files that are too big to be sent as regular email attachments. Google Drive has collaborative tools that allow multiple users to access, edit and save the save common files online in real time. I generally don't have anything negative to say about Google Drive, but when I use it to send files to some users, there are times when they're confused about how to download files. To some users, the download link that appears in emails isn't clear since there are no instructions on what to do. I'll sometimes have to take the extra step of adding instructions to make sure they know what to do. I think Google Drive is one of those services you should just have in case you need to storage space. Though there are some security issues involved with someone having your password, it is a generally secure and easy-to-use storage and file management platform. Google Drive helps me to save files of all sorts to a convenient and secure cloud storage location. It's been a great tool for collaborating on documents and image files we use for marketing. We can leave comments for each other and get files finished faster. Google Drive lets me limit my use of physical hard drives either in my computer or portable storage like SD cards. "A free 15 GB pendrive with access anywhere"
For years I have been using Google Drive because it serves as a safe place to store files (videos, photos, documents, etc.). The best thing is that I can have them on hand when I need them no matter where I am, as long as there is a good internet connection. I use it in the basic storage level of 15 GB that is free and I see that it includes 3 Gmail services, Google Photos and Google Drive. It is a resource that helps collaborative and group work. In fact, you can easily share files and folders with other people. I can say that one disadvantage would be that your basic storage level is very low, and it is already compromised if you use the Gmail messaging service. If you are interested in having more storage in GB you should pay or contract a monthly payment. People who store videos or heavy files have to choose to buy higher levels of storage. On the other hand, if you do not have a good internet access service, you could spend a lot of time uploading files to the cloud or downloading a file to your computer. If you need a place to store free information and less than 15 GB, you can choose the use of Google Drive, which also guarantees the security of the information uploaded. You can upload and download your files from any place as long as you have a good internet connection. If you have Gmail messaging service, you can also count on this service. Google Drive has helped me to download remote files that other colleagues have uploaded in order to share them. This has been beneficial, given that during foreign inspections of equipment and installations of the company, inspectors upload their reports and photographic memories to the cloud from other cities in the country. Without having to wait for them to return, you can count on the information to make decisions and determine fast and efficient technical-economic solutions. "My go-to solution for EVERYTHING!! I love it"
Ease of use, Free, Multiple different options as far as sheets, docs, storage, folder categorization, sharing options, privacy settings, etc. I can access from anywhere and it's really user-friendly. I like the clean design overall, and there are continuous improvements to the user interface which I can appreciate. Definitely a great tool, I'd say for everyone from beginner entrepreneurs to students to business professionals. Make use of it, especially the file sharing! So helpful for collaborative projects. It's, generally speaking, helping me organize my thoughts and files and photos and graphics. All in the same place, neatly organized. I was keeping photos stored to my phone for a while but ran out of storage. Google Drive is an amazing alternative because not only can I store those photos for future access, i can plan out product launches and marketing ideas in spreadsheets, keep track of lists and to-dos, etc. "One of the Simplest Ways to Expand Storage Space and Share Files"
I like how simple it was to sign up. I literally could start sharing files within minutes. The upload times have quite fast when I have at least a decent internet connection. The design of the main account area is minimalistic, which actually makes it easier for me to find my way around. I can access and manage files similarly to most of the operating system file managers I'm used to using. I can store a large amount of files without having to spend a ton of money. The fact that this is a Google product, which I've had positive experiences with in the past, makes me like Google Drive even more. There is very little I dislike about Google Drive. It's hard for me to mention any negative qualities, but the nature of web-based software like this means that I won't be able to access files without an connection to the internet. Also, I sometimes get nervous when uploading important files to Google Drive since someone that steals my password could potentially access them. I think Google Drive is a solid solution that could help you share business files more efficiently. I would suggest avoiding uploading sensitive personal or financial information since there's always a possibility of a security breach. I have used Google Drive to save large amount of files that I can use to share with others I work with. It has made it easier to collaborate with others compared to emailing files to each other or transferring the files in person. We can grant access to particular users, which makes the platform very versatile and usable for separate projects. "El mejor software de almacenamiento. " Lo que hace a Google Drive único es su gran espacio de almacenamiento es el aspecto mas relevante y su mayor cualidad, aquí puedes guardar todo tipo de archivo, documento, imágenes y vídeos, ademas de guardarlo y poder compartirlo con tus compañeros de trabajo, se puede colaborar en el documento de forma simultanea ademas de poder enviar en tiempo real documentos o archivos. Puedo abrirlo desde cualquier dispositivo, por lo que puedo acceder a mis archivos desde donde sea que este, sin ningún problema. Ademas de que es un software muy seguro, es muy fácil de utilizar y la interface es rápida. Un software practico y totalmente útil. Desde que lo he estado utilizando no he tenido realmente ningún problema con Google Drive, en vez de eso solo me ha traído beneficios, mi experiencia con el software ha sido totalmente positiva. Recomiendo con los ojos cerrados Google Drive, es la forma mas segura de guardar todos tus archivos, ademas de poder trabajar en conjunto con tu equipo y tener acceso desde cualquier lugar. Trabajo como Community Manager en una agencia, dentro de Google Drive guardamos todos los documentos, archivos e imágenes de las marcas que manejamos. De forma que trabajo siempre desde el software, dentro, realizo las grillas de contenido, de igual forma la diseñadora gráfica guarda el arte que acompaña el contenido que sera publicado en las redes. Trabajamos en conjunto revisando y evaluando las grillas de contenido, ademas de compartir los documentos con nuestro jefe cuando no se encuentra en la oficina. El mayor beneficio es que puedo tener todo mi trabajo dentro de un solo software, ademas de facilitarme el trabajar en conjunto con mi equipo ya sea desde mi casa o en la oficina. "Simple to use and integrates with Office Apps now"
Security, and ease of use. Large user base so easy to share files with a sense of security. Connects with everything because it's google! Consider as your one-stop shop for single-sign-on. If your company users have a Google account to connect to other apps it makes it very easy to manage everything in the cloud for your users. I wish there was an option like backup & sync for enterprise, it used to exist but Google discontinued it in favor of Drive Stream. I miss the ability to force users to backup everything automatically. Worth it considering the cost is only $7-$12/user for enterprise, and Microsoft's offerings are a lot more. However, if your users are stuck on only using Microsoft products and don't want to have anything to do with Gmail or the web in general than you might want to reconsider. File security, compliance, and retention policies. Helps maintain HIPPA because information sharing can be monitored and controlled by the administrator easily and reports can be generated for compliance. 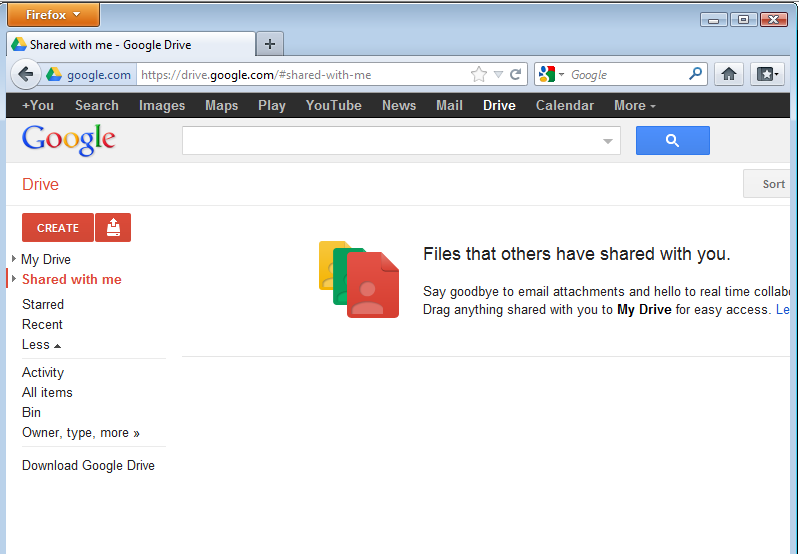 "Use Google Drive for Work and Personal"
I like the fact that I can access my files from ANYWHERE!! I used to use Dropbox but Google Drive seems to be much faster at uploading and downloading. Also, I don't even have to buy Microsoft Office since Google Drive lets me edit word documents and spreadsheets right in the browser. Can't ask for much more than that when you have an office job! I don't like that I can only be logged into one Google account at a time. Also, the newest update that came out made it look way less attractive. The recovery process doesn't always work correctly if you should accidentally erase something or make changes a few weeks i the past and need to revert. Don't waste your time on anything else. My wife uses Nexcloud and a few others at her work and they recently switched to Goggle drive as well. WAYYY BETTER!! Being able to share documents with people in different locations and get realtime information. You can have multiple people on one spreadsheet which saves a ton of time. You never have to wait for someone to save their changes and close it before you can get in to add your information. "Google Drive as a freelancer"
Google drive is one of the applications that I use the most in day to day. I have a large part of my freelance work, a large part of my work as a company employee and a large part of my private life. And the whole and be able to have everything organized in the way I want, creating access folders and dividing everything efficiently, besides being able to access my information from any point and at any time and from any device is the best progress than the cloud can not give. It is difficult for me to think about a criticism and to be able to improve Google Drive, but everything can always be better, even this application is so useful and massive. I think that when you manage to personalize something according to your needs, the complementation is done in a much more fluid and natural way, therefore it is something that can be taken into account in the future according to needs. The access to the information in my work is something always primordial and of extreme urgency, the power to update a file and upload again, or to do it from the cloud saves a lot of time that I can take advantage of for other things, THE power to separate from the typical computer and You can mobilize to reach where your goals take you independently and always with access is the best virtue of this tool. 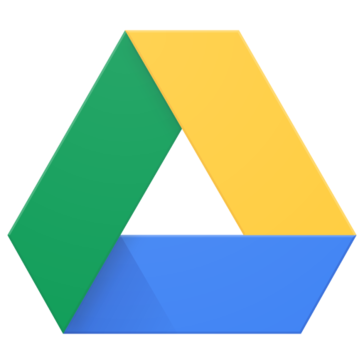 "Google drive is the best drive I have ever used"
Google drive is helping me daily to create many documents and store it in a safe place. It allows you to save any kind of file whether it's a document or image. It also allows you to sync data from your PC which is so cool feature. It gives you an additional 15 GB space which is used to store and kind of file and this storage can be upgraded by becoming a paid member. There is nothing to dislike here, trust me. I've been using this app for almost two years and I've never faced any problem yet. Absolutely love it. I'll recommend everyone to use Google Drive. This is the best drive I have used till now. It's functions are so easy to use that everyone can easily use it. Google team is always there if you have any query and they also give you timely new opportunities for your business. So at least once you should try it. I'm currently using Google drive for saving my transcribed documents to any safe place and I chosen Google drive. Really this app has helped me a lot in my work. This app is my companion in every document formation. It's features are too easy to use which can be easily understood by anyone. "Google drive - A simple file sharing system that can be accessed anywhere in the world!" Google Drive is a universal, simple file sharing system. Its main benefit is that anyone can use it to send files, or to receive any files within minutes. You can send files of any type to anyone with an Internet connection, anywhere in the world. It is a basic system but it is one that does all it needs to do. Sometimes files take longer than expected to upload. Occasionally files won't re-download when sent to clients. Have had a few files corrupt when uploading that we didn't realize until it was sent to a client. It would be useful if they included a way to sort files by type. It would also be useful if the files could be set to auto-delete after a certain amount of time rather than having to manually remove files. I strongly recommend it. Google Drive is easy to use and is usually very reliable. Perfect for sending items that are too large to simply email. Easier to use than my previous file sharing program. Simple to use, and if the person receiving the files doesn't know how to, its simple to explain how to use it. "My experience using google drive "
It is an excellent hosting service, which allows you to share and edit files, start using this type of service since it was google docs and now with google drive, one of the most important things is that they increased the storage space, it is also very easy and safe to share information, simply by sending the link to the people with whom you are going to work, in this way we can edit in real time any document among several people. Another feature that is important to me is to be able to use all the programs in the Microsoft Office package, particularly the Excel and PowerPoint programs. In addition to allowing backup copies of all important documents, we also highlight mediating stars that we need to highlight in order to find them quickly. One of the last use I made of google drive is the power to connect it with the Google forms application, this last one has been facilitated by collecting important information for us as a company. Until now, the only thing I have not been able to do is use the narration function when I work with a PowerPoint presentation, otherwise I use the service without major inconveniences. For our company google drive has become the means to work as a team, we share and edit private documents through this service because we trust in the levels of security offered. "The safest Storage for the confidential Documents, personal photos and etc." It is very helpful to save the photos, and documents. Because of that, we able to make free the local drives. And also, we can access the stored documents and photos anywhere. Google Drive can operate from mobile devices. So, we able to access those, anytime. This is very trust storage. Up to now, we did not face any threats from this platform. This is very good platform for file transfer without any hassle. And it will help to transfer any type of files, and any type of capacity. And it is free to use. No money involve in this purchasing process. You easily login to the account, and use the Google Drive. It is a very useful file storage and transfer platform for multinational companies. It is very helpful to share the documents worldwide within the organization. And it is a safest way to share and store the confidential documents. Further, it ease to use by anybody else without any big IT knowledge. it's pretty usefull to use. i can save photos, videos, archives, songs and way more stuff. i do travel a lot and not every time got some space on my luggage to carry on an external memory. so, what i do is to save my information on drive and when i get to my destination an connetc to wifi open drive and use what i need to from the cloud. whe i'm out of my home and i need some especific song or document what i do is to go to drive and search if i have made a background of what i'm looking for. mostly i allways have my job's information there. It is a platform administered by Google, which allows you to log in from your Gmail account. Google Drive is a secure option that allows you to save your work, videos, photos, in the cloud and share them with your family and friends, with reliable backups at hand. In Google Drive you can store and share content, it is a safe place for all your files and allows you to have them within reach in any space, you can save videos, photos, documents, files with high numeric content, among others. You just have to have a Gmail account. Cons: is conditioned to the use of the Internet and is limited only to the connection of a Gmail email. Google Drive is helping me daily to create many documents and store them in a safe place. It allows me to save any type of file, be it a document or an image. It also allows you to synchronize the data of your PC, which is a very interesting feature. It provides you with an additional 15 GB space that is used to store and file type, and this storage can be updated by becoming a paid member. I recommend all Gmail and Google users to use Google Drive. This application is great. Its functions are so easy to use that everyone can use them without any complications. The Google team is always there if you have any questions and also offers new and timely opportunities for your business. So at least once you should try it. The backup of a variety of files, which can be accessed at any time from the computer, phone, tablet, anywhere that has an Internet connection. The backup of a variety of files, which can be accessed at any time from the computer, phone, tablet, anywhere that has an internet connection. "Google Drive makes works easier"
Google drive is like a pen drive with 15GB which can access anywhere, anytime. The best features of the google drive is easy access and security. The google drive helps a lot to share resources , document with colleagues very easily. We can easily create google sheets, google docs, google slides etc within the drive. The basic storage of the google drive is low. The disadvantage i experienced in google drive is we can not access the drive without internet connection. It takes considerable time when download and upload things from the drive. Google drive is really essential cloud based storage. Quick access. Ease of use. User friendly application. I usually used google drive for share documents and files between colleagues. It is really easy share things among colleagues by using google drive. we can quickly get shareable link and send it to others. "Likes or dislikes Google Drive"
Google Drive is the online platform. There are 15 GB of storage in each user, in which you can store photos, videos, documents, etc. by uploading documents and creating documents in it, then through social media or through the mail, anyone can share. If you want to increase its 100 GB storage then you can increase the storage by paying Rs 130 and the Android app of Google Drive, which you can easily use in your mobile, and I also use this app, I can use it on laptops for about 2 to 3 years and I want you to use it too. I believe in it that there is nothing to like in it. You believe me and see experiment once you too will believe it. I've been using it for 2 to 3 years. I want to say that there is no problem with this you use it, its security is very high and you get 15 GB storage. If you go somewhere to roam or picnic and capture photos or videos there and your mobile is full and all of them are for your work, then upload it to Google Drive and you can free up your storage. Then you can capture photos and videos. "Robust cloud storage solution, but can get messy"
Drive is a robust cloud storage solution for individuals and businesses. Documents and photos sync easily, and if you're already using G Suite and/or Google's office apps such as Sheets, Drive is a seamless way to sync and share your files. I find that in every Drive account I have it just ends up looking like a mess of scattered files. I'm not sure if this is just me, as I keep my computer's storage very organized, or if Drive isn't promoting a standard directory structure. I also find the layout to be disorganized, as folders and individual files seem to be mixed and scatted. Drive is free, at least for individuals, files sync easily and it's available across platform and device. Give it a shot, but consider creating your own directories within drive to keep it from looking like a dog's breakfast. Drive is a good way for colleagues to share files within the organization, and possibly even with clients or others outside the company. In this way it's a great collaboration tool. When you select a file to share it gives you several options that are great for teams, such as the ability to share with anyone in the company who has an email address using the same domain as yours. First thing, the fact that it is absolutely free is such an appealing feature! It is easy to use and very fast to operate. Google drive offers me a safe and reliable platform to store my files. With Google Drive, it is very easy to find your files even if you have a large number of files you have already added to your drive. The storage space it offers is so much!It will take me a few years to get through all that space for sure. One of the Cons was that if a document has several editors and some of them delete the information you can lose it forever. It is also keen to note that if you want more storage for your data, you must subscribe to a plan that is not so cheap. There is also a need for you to have a steady internet connection when you access Google Drives. For file sharing and storage I would recommend Google drive to medium to large companies. With its collaborative tool, it enables us to work multiple people at a go on any particular project.